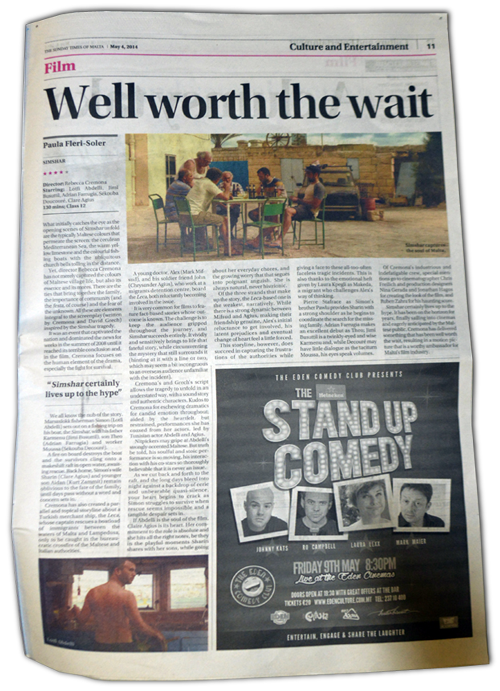 SIMSHAR, premiered in local cinemas on the 27th April 2014, is the first maltese feature film for an international audience. Directed by Rebecca Cremona, Simshar is a fictional film inspired by true events and Clare plays the lead role. Clare was cast and credited as the ‘frightened hellenic woman’ in this epic movie mainly shot in Malta. While filming in Malta, Clare was auditioned by the director of this acclaimed Series and landed the part of Lupus’s mother. Locally Clare made her acting debut for TV playing ‘Rita’ – the leading role in a famous Maltese book ‘Il-Madonna tac-Coqqa’ by Guze’ Diacono, adapted for a 24-episode Teleseries aired in 2002 on One TV. This role placed Clare as a leading actress in Malta, and she is continually sought after by various drama producers.